Apps not an option? No problem! 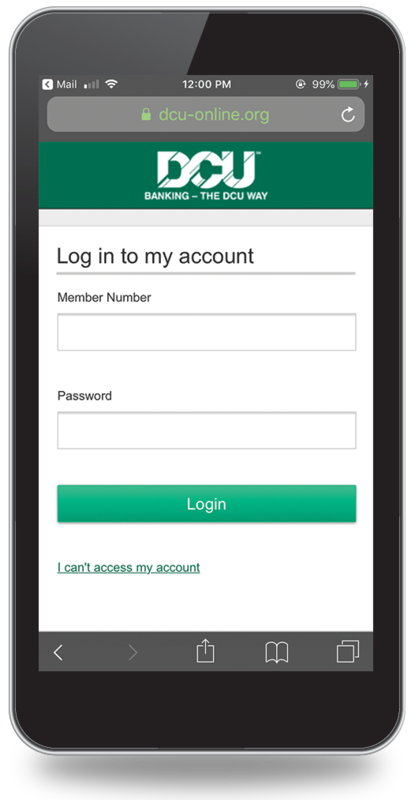 Access all your banking accounts safely and securely using only your mobile web browser. Mobile banking is open 24/7. DCU gives you the freedom to bank whenever and wherever you want with your smartphone or tablet computer without the necessity of a banking app. Transfer funds from your account to the account of another member. Get info on how to contact DCU using email, mail, phone and/or fax. Locate the nearest branch or ATM with our Branch locator.